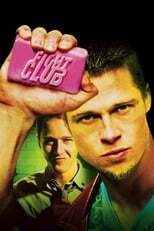 It's not original anymore to like this film and cinephiles often roll their eyes when they hear this film mentioned for the millionth time, but I still think Fight Club is 100% pure awesomeness. My final thoughts on Fight Club is that it's one of the best movies I've ever seen, and I'm saying this after just having watched it a couple of nights ago for the very first time. The fighting proves popular with other local men and Tyler and the narrator start a secret Fight Club.